"For years, there was no comedy club in Philly, but Helium brought it back," said Glass. When Todd Glass was coming of age a generation ago in Valley Forge, the Conestoga High alum would forsake the bland strip malls lining suburbia for the lively, congested streets of Center City. At 15, Glass cut his teeth as a comic at the old Comedy Works on Chestnut Street. After graduating high school, Glass, 53, trekked across the country to Los Angeles to hone his comedy skills and raise his profile via television and film work. “Tough Crowd With Colin Quinn,” “Politically Incorrect” and “Tosh.0” are among his credits. Glass has resided in Los Angeles for much of his career, but he loves coming back to Philadelphia. “I’m not just saying that,” Glass said while calling from his Los Angeles home. It’s apparent that Glass has fun on “Preston & Steve,” but it’s about promoting his six appearances at Helium. “When you see me at Helium, I’ll talk about what annoys me, what angers me, and what makes me happy,” Glass said. My favorite comedy club in the country is the Helium venue in Philadelphia. They completely get it there." One of Glass’ pals is comic-actor Zach Galifianakis. The tandem are shopping a pilot dubbed, "Camping With Todd." “It’s all about the fun part of camping,” Glass says. But next week, Glass will be back in California, which he said he tolerates. 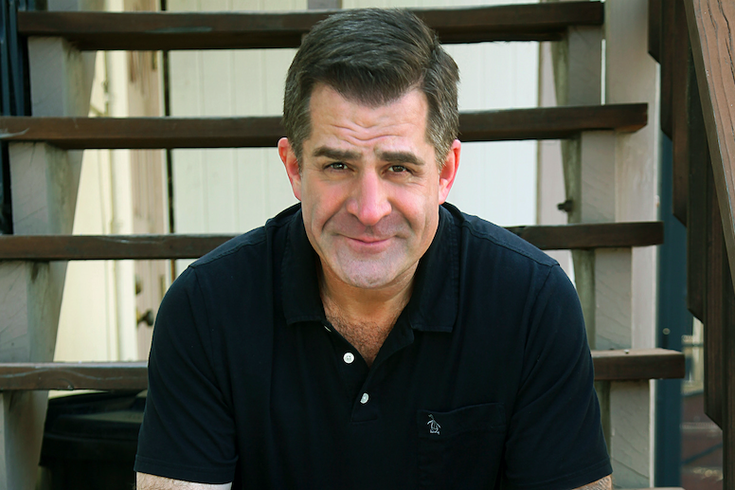 Todd Glass appears tonight through Sunday at Helium Comedy Club, 2031 Sansom St., Philadelphia. Tickets are $16 and $24 Thursday, $22 and $30 Friday and Sunday and $26 and $34 Saturday. Show times are 8 p.m. Thursday, 7:30 p.m. and 10 p.m. Friday and Saturday and 7:30 p.m. Sunday.